Efficiency, Functionality and Satisfaction Guaranteed. It all started with the Classic Bird Feeder. In 1990, Jim Carpenter, founder, president and CEO of Wild Birds Unlimited, set out to create the perfect wooden bird feeder. 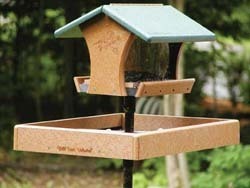 With input from Wild Birds Unlimited store owners across North America he designed a stylish, durable and easily maintainable feeder that offered the one feature found in no other feeder - the ability to see bird feeding better. That day, the Wild Birds Unlimited Classic Hopper Feeder was born. 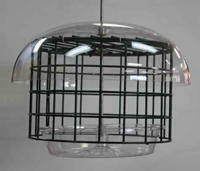 It's design has kept it's integrity for over 15 years and has become the symbol for the Wild Birds Unlimited franchise. 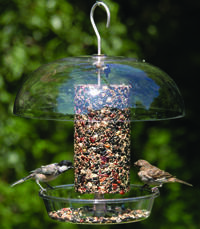 Throughout the years, we've made sure that all our feeders, whether hopper, seed tube, finch feeders, or wild bird feeders offer that same feature - the ability to see bird feeding better. We want you to have the best possible experience from your bird feeding hobby. 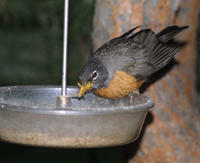 And that all starts with high-quality wild bird feeders and bird seed. Visit Wild Birds Unlimited Nature Shop or visit our Online Nature Shop to see and learn more about our high-quality bird feeding products.